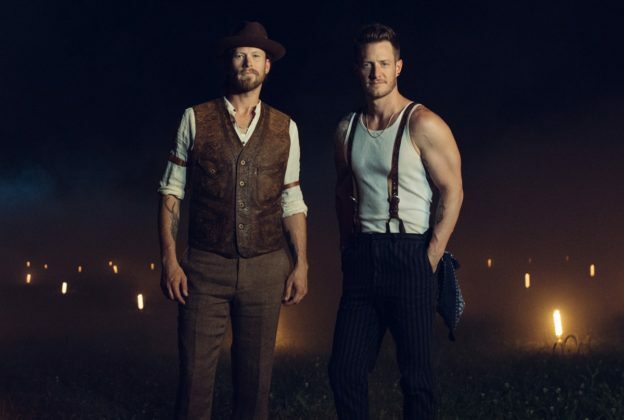 ‘Simple’ was penned by Tyler Hubbard and Brian Kelley of FGL alongside Michael Hardy and Mark Holman that has a definite warm summertime vibe. The joyful sounds of whistling at the beginning lead the listener to a banjo-filled melody. Similar to the way Aretha Franklin belted out R-E-S-P-E-C-T in her 1967 hit, S-I-M-P-L-E is spelled out by Hubbard and Kelley in this tune. Though far from the fifty-year-old classic and with a sound all its own, ‘Simple’ is a modern, feel-good country song about being in love and realizing that it’s important to take a break from the modern ways of 2018 and live a simpler life. Florida Georgia Line’s Brian Kelley told WFMS 95.5: “We just feel like it’s the next step for FGL. It has a fresh sound and it’s just a good time to put it out. It’s a good time to live simply as much as things can get complicated.” The pair sings: We used to live on Instagram. Worry ’bout who all gives a damn. ‘Bout where we’ve been and where we ended up. Then I met you and you met me. And all the rest is history; an epiphany…That all we need is us. ‘Simple’ is one of those songs that turns your frown upside down and just puts you in a good mood! Florida Georgia Line wrapped up their huge 2017 The Smooth Tour with Nelly and The Backstreet Boys. They recently played at CMA Fest and Colorado’s Country Jam. Sadly, FGL does not have any New England visits scheduled for summer 2018. Here’s hoping we catch them in our neck of the woods this fall. Favorite Lyrics: It’s like one, two three. Just as easy as can be. Just the way you look at me. You make me smile. You can purchase ‘Simple’ on iTunes here. This entry was posted in Home page blog, Reviews and tagged Brian Kelley, Florida Georgia Line, Mark Holman, Michael Hardy, Simple, The Smooth Tour, Tyler Hubbard on June 26, 2018 by BeckyNECM.